Total: a good 2-2 ½ hours….well worth it!!!! 4 large onions or 8 small onions, thinly sliced and trust the amount, they shrink!! 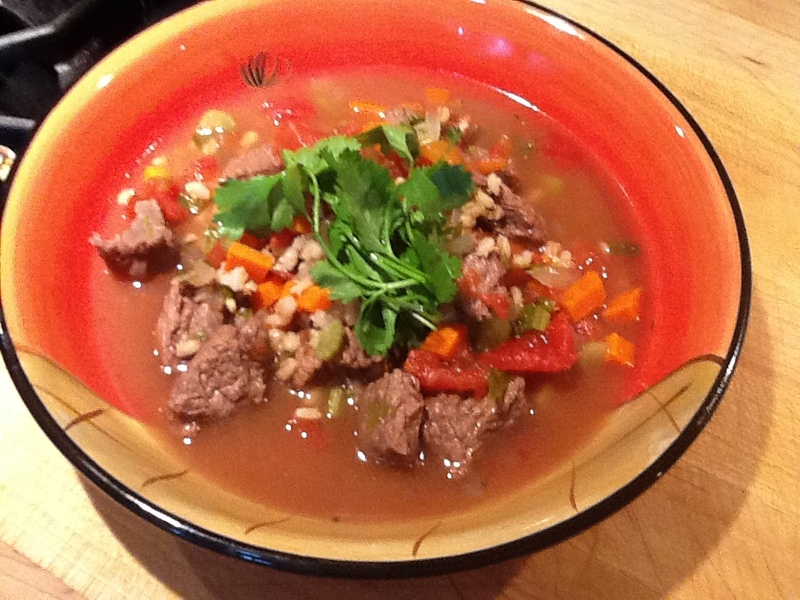 8 cups or 2 quarts dark chicken stock, or low-sodium chicken or beef broth or both mixed!! 1. In a large pot, (like a dutch oven for best results) heat the butter over medium heat until it is melted and begins to brown. Add the onions and cook over medium heat, stirring occasionally, until they are soft and browned or “caramelized “..about 20 minutes). 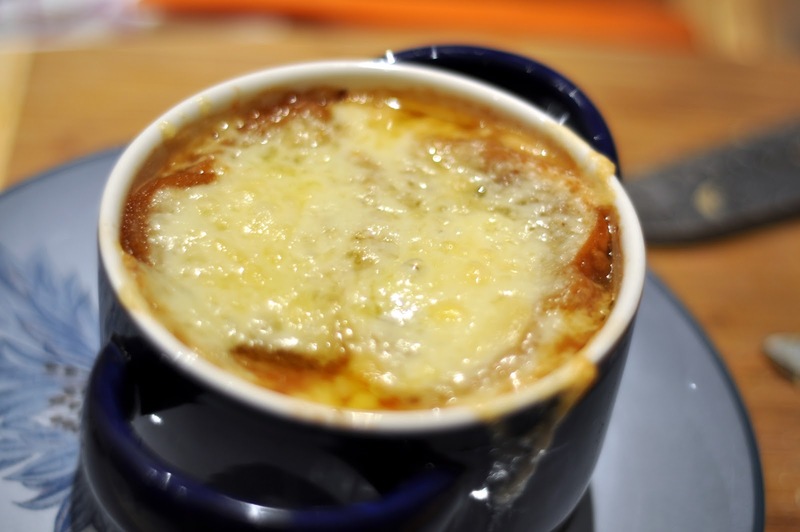 Onion soup, unsurprisingly, is all about the onions. Make sure the onions are a nice, dark, even brown color….truly caramelized which gives it great taste. 2. Increase the heat to medium high and stir in the port wine and the vinegar, scraping all that brown goodness from the bottom of the pot into the liquid. Add the chicken stock. Note that the better and more intense your stock, the better the soup’s going to be. 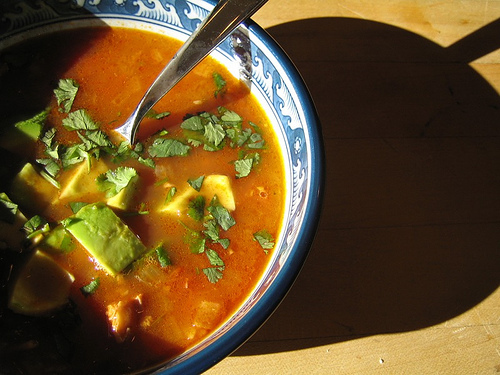 This soup, in particular, is a very good argument for making your own. Add the thyme and bring to a boil. 3. Reduce to a simmer, season with salt and pepper, and cook for 45 minutes to an hour, skimming foam off the top with a ladle. 1. 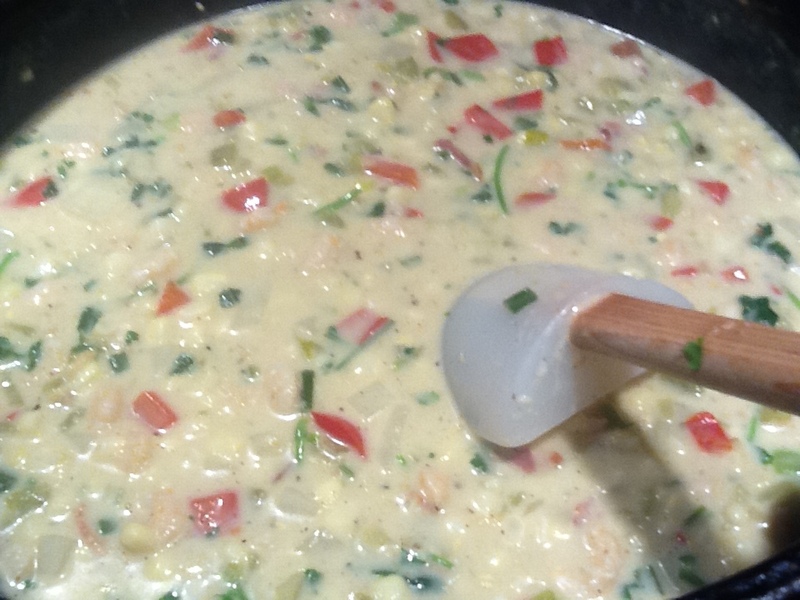 When the soup is finished cooking, ladle it into the individual crocks. Float two baguette slices side by side on top of each. 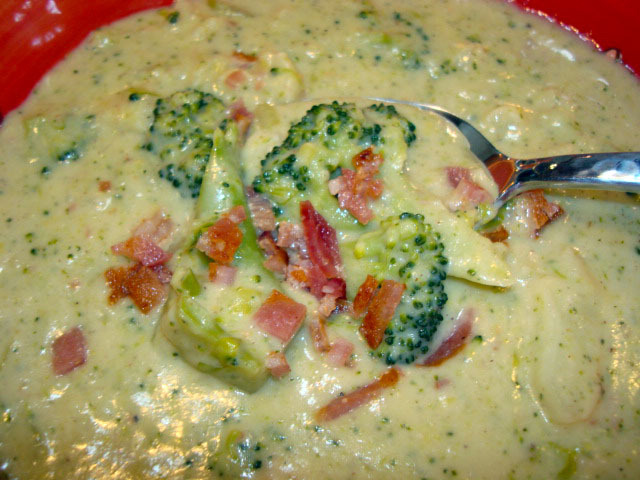 Spread a generous, even heaping amount of cheese over the top of the soup. You want some extra to hang over the edges as the crispy, near-burnt stuff that sticks to the outer sides of the crocks is often the best part, once it comes out from under the heat. 1/4 cup cream or half and half (optional) to taste. *If cooking gluten-free use homemade chicken stock or gluten-free packaged broth. ** words in orange were used in another version** also, G O O D!!!! 1 Gather ALL your ingredients & measure, chop whatever..and get everything ready so that all you have to do is add ingredients to the soup pot!! 2 Melt the butter in a large saucepan over medium heat. Add the leeks, (or onions)cook 5 minutes, stirring occasionally. Add chicken broth, potatoes and pepper & Ham Bone if you have it. Bring to a boil over medium high heat. 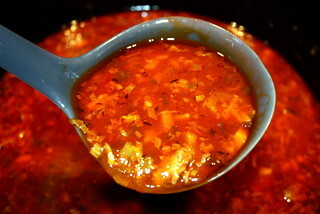 3 Reduce heat; cover and simmer 20-25 minutes or until vegetables are very tender. Take bone out and cut off as much useful ham as you can. Using a blender or food processor, working in batches, pulse 1/4 potato substance (pulse 2-3 times) and then put in separate bowl. Then re add to the other half still in the soup pot. 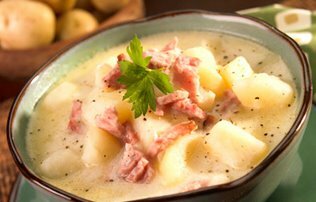 4 Stir in diced ham and cream and reheat. Season with the dill weed, S&P, parsley and chive. Top with chopped leeks. ****And total time is about an hour taking into consideration chopping, peeling and measuring!! Now, how easy is that?????? ?